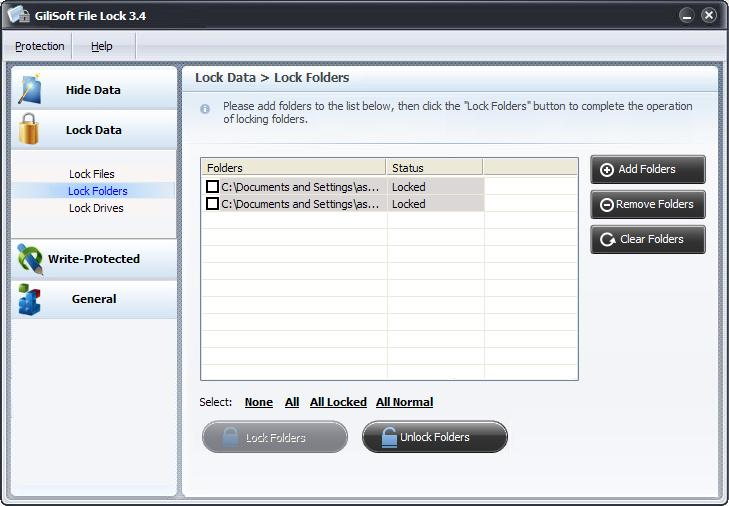 GiliSoft File Lock Pro is designed for protecting your sensitive files,folder and drives on your local computer. In factly, GiliSoft File Lock Pro protects but does not encrypt the protected files and folders, so it will never have the chance to destroy your data and nobody can access or destroy your private data without password. You can hide your private files folders and drives to make them completely invisible to users and programs. Qweas is providing links to GiliSoft File Lock Pro 6.3 as a courtesy, and makes no representations regarding GiliSoft File Lock Pro or any other applications or any information related thereto. Any questions, complaints or claims regarding this application GiliSoft File Lock Pro 6.3 must be directed to the appropriate software vendor. You may click the publisher link of GiliSoft File Lock Pro on the top of this page to get more details about the vendor.